We are excited to be hosting Subhash Kommuru's ANOKHI DOSTI Book Blast today! 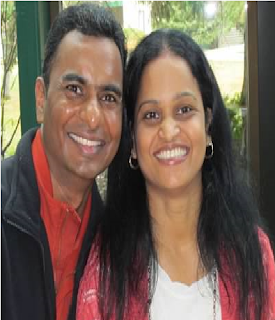 Leave a comment or a question in the comment section of this blog to let her know you stopped by! Does a smile or a laugh have trans-formative power? It does in a special place called Tadoba. 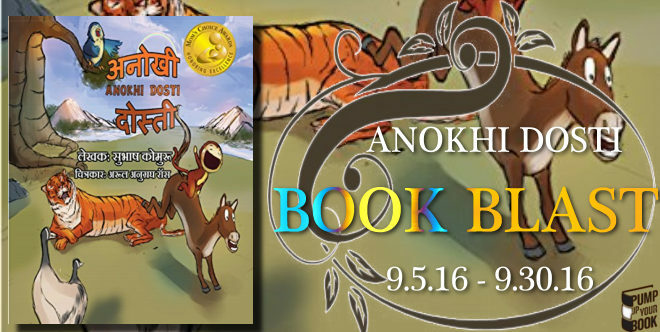 Anokhi Dosti is a book written in Hindi and is a remarkable tale of the trans-formative power of companionship, particularly for someone who is lonely and never really had the gift of laughter. 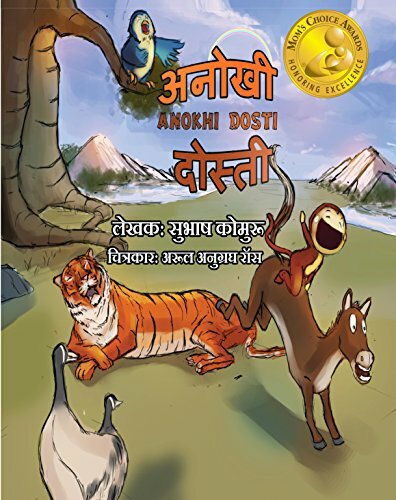 Guaranteed to get a giggle out of kids, Anokhi Dosti also provides plenty of opportunities for readers to connect with the characters in richly detailed, mesmerizing illustrations. This Award Winning picture book is perfect for read-aloud fun and is also appropriate for beginning readers. This book is written in Hindi using Hindi script.